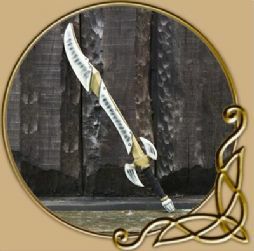 TheVikingStore is proud to present our vast range of LARP Throwing weapons. If your an adventurer needing a decent boot knife, or the mighty chaos warrior, looking to champion his tribe by decimating his foes with Great Axe and Throwing Axes, or the raiding Norseman commonly known as a Viking, seeking fame and fortune where ever there longship sails, or more! 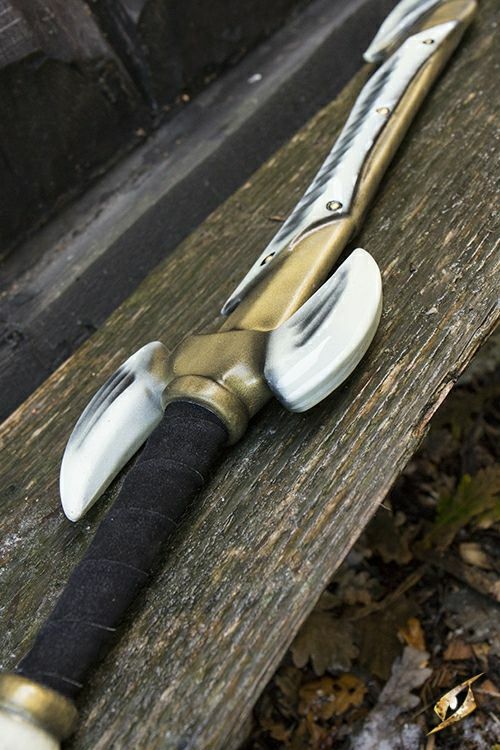 What ever your character is, our LARP weapons are ideal for you. 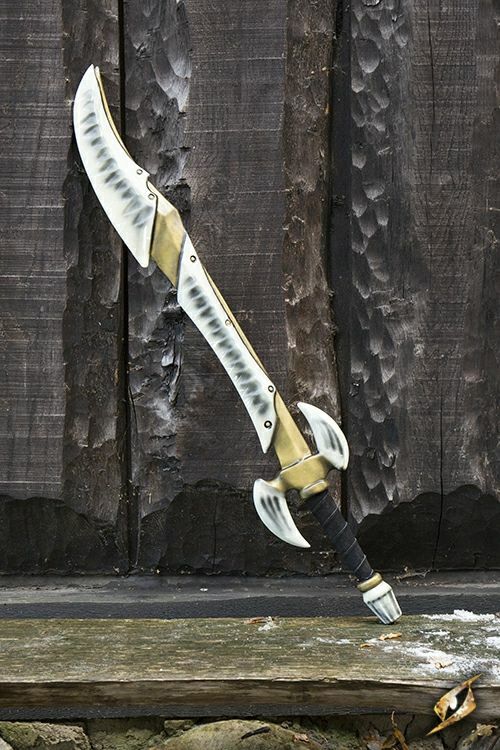 Bone Blade is a dark-themed, one-handed chopping sword. 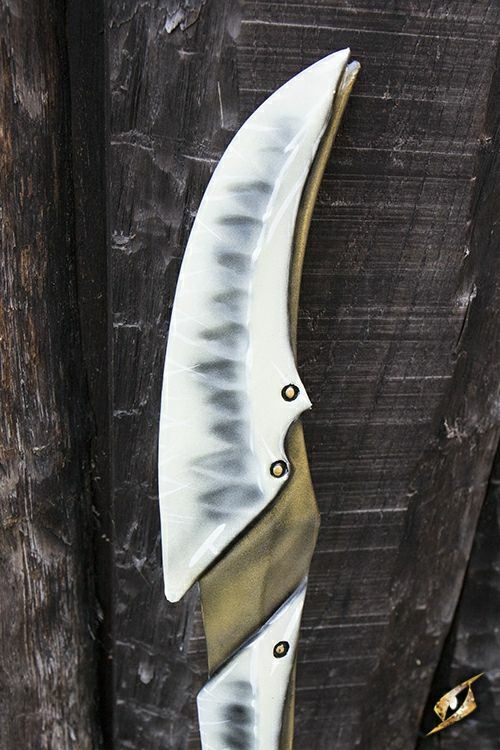 The 66 cm curved single-edged blade is sculpted to look like sharp bone-white plates riveted onto a brazen core, giving it a deathly appearance. 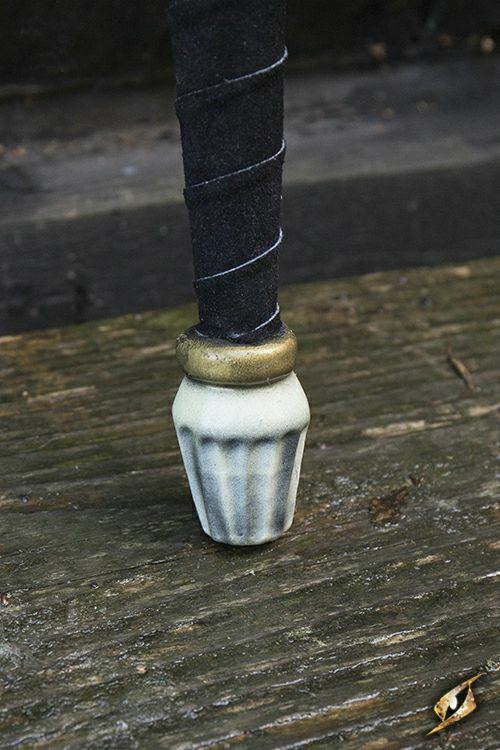 With a horned crossguard and bone pommel protecting the 15 cm split-leather wrapped handle, this dark weapon is a malevolent addition to any villains armoury. - Handle is a polyurethane foam cast, giving it more detail with no maintenance!